When it comes to digging deep and pulling yourself up, no name personifies and embodies this belief more than Alex Zanardi. Born Alessandro Zanardi, the Italian is a professional race car driver and paracyclist. 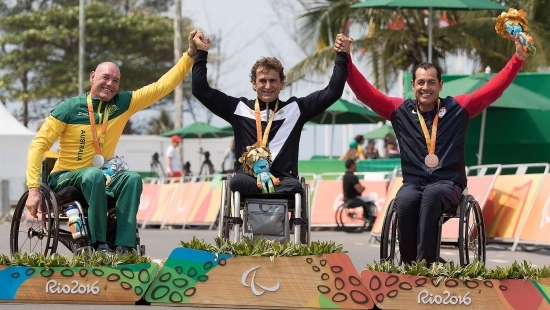 For those of you who don’t know Zanardi’s story, it likely strange to read that he is a paracyclist, and also a professional race car driver. One must be asking themselves how that can be possible. Well, the story of Alex Zanardi is no ordinary story. Zanardi began racing karts at age 13. He built his kart from the wheels of a dustbin and pipes from his father’s work. In 1988, he joined the Italian Formula 3 series, with a fifth place as his highest finish. In 1989, Zanardi took two pole positions and three podiums despite his team’s switching to unleaded fuel, which reduced his car’s engine power. In 1991, he moved up to the Formula 3000 series with the Il Barone Rampante team, themselves newcomers to the series. He won his F3000 debut race, scoring two more wins that season and finishing second in the championship.